So you might have noticed that we really like tech tips and how-to info around here. Our ongoing Drag Race 101 series is designed to be the ultimate resource guide for new racers and wrenchers, old hands, and all the experience levels in between. But we also constantly on the lookout for other tests, tips, tricks, techniques and information that will help our audience improve their vehicles and their race styles, in every type of racing from drag racing, to circle track, to late model dirt, to Sprint cars and midget racing, to the sports car class. And we’ve got access to smart folks who can answer these questions, so here’s what we’re looking for. What do YOU want to know more about? 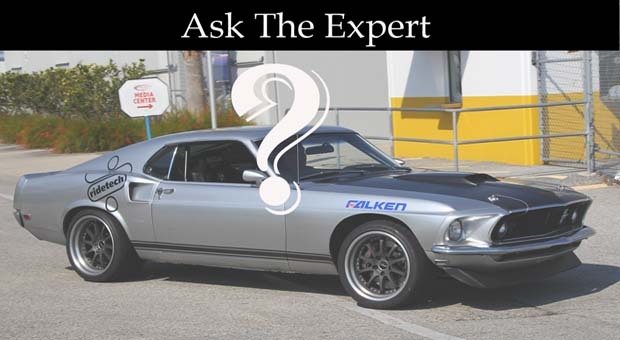 If you had access to an expert and could ask about anything: improving performance, installs, tuning, buying advice, race techniques, track info, driver or crew info, etc., what would you ask? We’re going to take these questions and put them to our experts all over the country and get YOU the answers your looking for. So send us your questions to [email protected], leave them in the comments to this post, or head on over to our Facebook page and ask them there.